The language we use has a powerful impact on the people we work with and for. This is of particular concern in the substance use field as a number of words and phrases often used actually increase stigma and discrimination, which may then decrease a person’s access to necessary health and social services. Terms like addict, drug seeker, drug abuse, dependence, misuse, addictions, and problematic use, can alter the way we perceive and define individuals in our community. Terms like these often disproportionately weigh one aspect of a person’s life against that person’s identity as a whole. Furthermore, using terms that hold negative connotations can “affect how resource allocation, research, training and basic policy issues are approached”. Considering the impact that language can have, there is a need for further discussion on how some terms will be used and defined by this Strategy. The terminology we use should strive to be as general, neutral, and all-encompassing as possible. As a Drug Strategy, it is our intention to be inclusive to people from all communities, genders, and cultures that engage in substance use, and be attentive to the many reasons for which people engage in substance use, recognizing that that these reasons are complex and numerous. Furthermore, the Drug Strategy represents a diversity of agencies and perspectives on substance use, including people with lived experience, and we want to encourage inclusivity in how we talk about substance use. 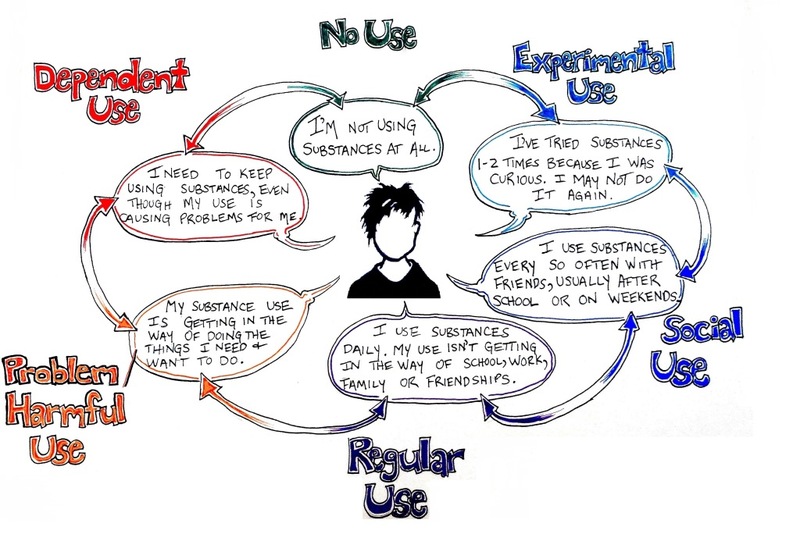 We recognize that substance use occurs across a continuum, including beneficial or therapeutic uses, recreational uses, as well as intermittent and chronic use. As a Drug Strategy, we are predominantly concerned with the potential harms and negative impacts of substance use on individuals and communities.